Here at Luxe Models we love a good music festival. The music, the atmosphere, the wellies, the mud - actually scrap that last one - we love it all! As summer slowly but surely approaches, and we gradually say goodbye to short days and long nights, it’s finally time to start getting excited about those weekend breaks. 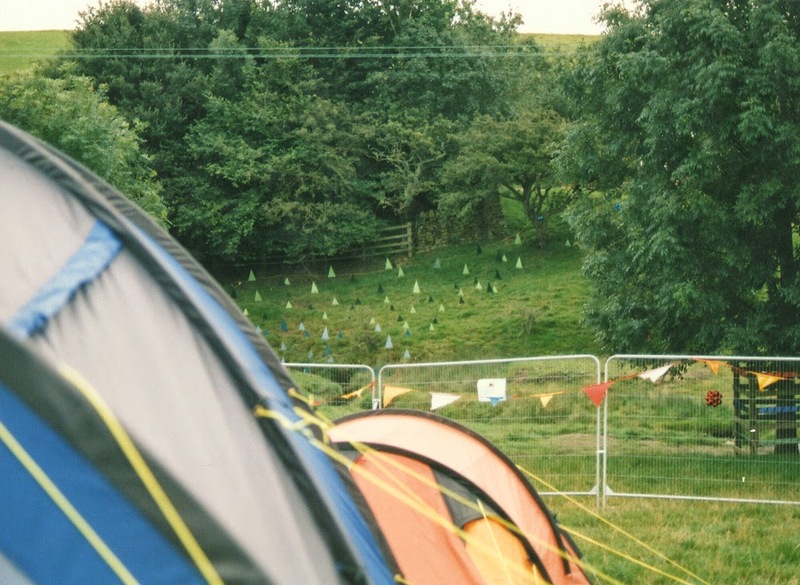 And what better way to spend a weekend in the summer, than in a messy tent in the middle of a field. The British music festival has been around for a good while now, growing in popularity to the point where it’s almost impossible to choose. There’s Glastonbury, Leeds & Reading, V Festival, T In The Park, Bestival, Green Man, Isle of Wight, Wireless, Hop Farm, 2000trees, Global Gathering and Parklife – and we still haven’t even scratched the surface. There’s just too many to choose from. Let’s kick off with the obvious one. Wellies. You don’t always need them, but if the rain starts falling and you haven’t got a pair, then you’re in for one bumpy festival experience. But wellies aren't just a necessity, they’re also a fashion must have for festivals, so making sure you've got a good pair is the first port of call. By taking a look at what clothes you’ll be taking and what goes with what, you will be able to choose a pair of boots that match your summer style. Sure bright pink ones might look cool in the shop, but they also might stick out like a sore thumb. We suggest checking out Joules.com for some of the best wellies we've ever seen. You've got a pair somewhere. Hidden in a draw or at the bottom of your bag. But just how nice are your sunglasses really? We've been to festivals in the past only to find a smashed pair of shades in the bottom of a ram-packed rucksack. And you don’t want that, trust us! We whole-heartedly recommend buying a couple of pair of inexpensive sunglasses and getting a case to keep them in. A back up pair is not only a life saver if you lose one in the arena, but they’re also a brilliant way to change up your look. We suggest having a look on ASOS. As their range of great-value shades is just amazing. Although having a large backpack might not be the most luxurious fashion item ever, having a way to transport your supplies and secure your valuables is not something you can ignore. But then again, luggage needn't look too bad. We suggest checking out Surfdome’s extensive collection of unique backpacks and bags. Music is everywhere at festivals, it’s unavoidable. But sometimes it’s nice to have a little more control over proceedings. Perhaps you want to pump the breaks a bit and put on some relaxing Barry White, or even just put on some tunes in the morning to get you in the mood, either way, having some speakers is a great idea. But being short on space, size is of the up-most importance. That’s where Bluetooth speakers come in handy. Ranging from £10 to £200, Bluetooth speakers are wireless, very small and depending on the product, normally produce great quality sound. We recommend the ‘Pill 2.0’ from Beats by Dr Dre (£169) for the very best portable music experience or the Goji Stryder wireless speaker (£19.97) as a more affordable alternative. Visit Currys for more portable speaker options. Staying in touch with your family whilst at the same time uploading those festival photos to Facebook without power can be infuriating. But it needn't be. You should be able to get in contact with your friends if you get lost in the dance tent or phone up your sister when your favourite song comes on. But sadly there’s only so much battery life. For all you iPhone users out there who struggle to get through the day without running out of juice then listen up, because all is not lost. Portable charge devices do exist and they are an absolute life saver. Take the Techlink Recharge 10000 for example. After powering up before you head off, the Techlink can charge up to two apple devices at once and can be used multiple times - making sure you don’t get cut off. Find a full range of iPhone portable chargers via the Apple website. We hope this music festival guide has been in some way helpful and has given you a few ideas before you pack your tent. But just remember, mud sliding is never a good idea. For more news, views, stories and articles from Luxe Models, make sure you stay in touch with us on Twitter.